A Living Legend and a Musical Genius Pandit Bhajan Sopori is more than an individual – a performer and composer par excellence, musicologist, teacher, writer, poet, and an extraordinary human being – he is a complete institution in himself. Regarded as the cultural bridge of the State of Jammu & Kashmir and the rest of the country, Pandit Bhajan Sopori is hailed as the “Saint of the Santoor” and the “King of Strings”. 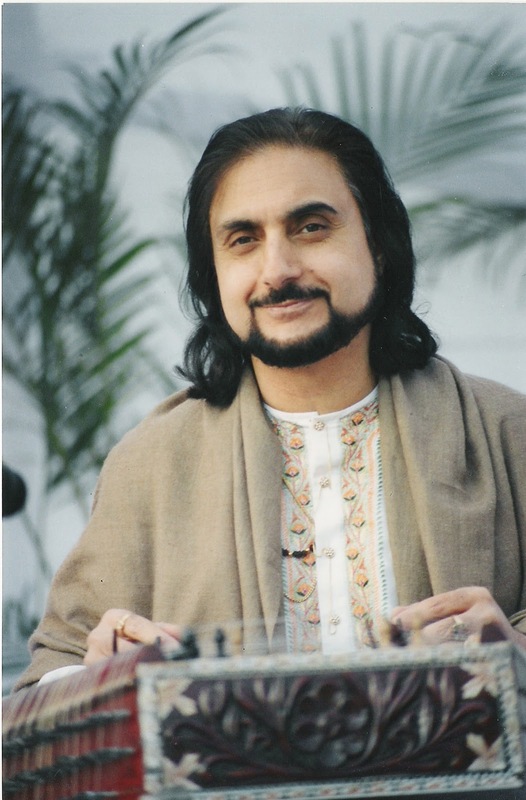 The mystic master is the bearer of a rich musical legacy of the fabled ‘Sufiana Gharana’ of Kashmir, the exclusive traditional Santoor family of the country. He was born in Srinagar (Kashmir) into a family of musicians and was initiated into Santoor playing by his grandfather Pandit S. C. Sopori and later by his father Pandit Shamboo Nath Sopori, hailed as the ‘Father of Music’ in the State of Jammu and Kashmir. Pandit Bhajan Sopori, the Santoor Legend and Music Composer, has been the pioneer in establishing the Santoor on national and international platforms as a complete solo instrument. The quiet and unassuming maestro has come long way since he created history by being the first person to play the Indian Classical music on the Santoor way back in the early 1950s. In his five decades of dedicated work he has explored various dimensions of the Santoor, carrying out many path-breaking innovations. He has increased the range of the Santoor from the conventional one-and-a-half to more than 3 octaves, balanced the ‘Kalam’ (strikers) with ‘boles’ and attached the ‘Tarab’ and ‘Tumba’ for enhanced tonal quality, etc. These innovations combined with his strong base in traditional ‘Raag-Sangeet’ allow for a systematic exposition of the Raag combining both the ‘Gayaki’ and the ‘Tantrakari Ang’ (style) in his recitals, demonstrating all the essential stylistic nuances of Hindustani Classical Music such as Meend, Glides, Gamak, Boles, including the 'Dhrupad Ang' with the accompaniment of the Pakhawaj. His recitals are known for their high degree of technical virtuosity combining highly intricate ‘layakari’, legendary ‘chhandkari’, speedy ‘taan’ patterns running through three octaves and a melodious ‘alaap’. He has thereby expanded the scope of the Santoor as a classical instrument and formally established the Sopori Baaj in the realm of Indian Classical Music. It is also entirely to the credit of the Sopori Family that Hindustani Classical and Light Music acquire legitimate space in the J&K State. A highly learned person, Pandit Bhajan Sopori has done his Masters degree in both the Sitar and the Santoor besides having a Masters degree in English Literature. He has also studied Western Classical Music at Washington University, USA. Pandit Sopori is the only classical musician to have composed music for more than 5000 songs in various languages of the country including Persian, Arabic, etc. He combines a profound knowledge of music and musicology and has carried out immense research on Naad (sound) and ‘sound therapy’. One of his highly commended albums on ‘sound therapy’, “Naad Yoga on the Santoor”, was released by a pharmaceutical company. Panditji has led the revival of Sufism to spread the message of humanism and the patriotism amongst the masses, especially the youth. He has composed Guru-Baani, Shabads, Vedic Chants and Sanskrit mantras like ‘Mahamrityunjaya’, ‘Durga Kavach’ and ‘Surya Upasana’. Panditji has also composed and introduced three new Raags: Raag Laleshwari, Raag Patwanti, and Raag Nirmalranjani. He has composed various patriotic songs, which are loved by the people of all age groups, like “Bharat Bharat Hum Iski Santaan”, “Hum Honge Kaamyaab”, “Bharat Ki Beti”, “Vijayee Vishwa Tiranga Pyaara”, “Vande Maataram”, “Sarfaroshi Ki Tamanna”, “Naman Tujhko Mere Bharat”, etc. for the national integration . His compositions bear the distinctive stamp of his virtuosity and erudition and have been sung by eminent vocalists of the country. His classical version of “Saare Jahan Se Achhaa …” and instrumental version of “Vande Maataram” are recognized pioneering efforts. Ø Kashmir Overseas Association Award (USA) - for contribution towards preserving art & music of Kashmir.